Home-grown terrorists aren’t common here in America, but that doesn’t mean that they are altogether non-existent. A man was arrested in San Francisco after concocting a plot with undercover officers to murder innocent people in a terror attack involving a van, IEDs and a firearm. Everitt Aaron Jameson allegedly wanted to perform a terror attack on Pier 39 in California on Christmas Day. What he told undercover officers will chill your blood. “I’m glad to know we Muslims are finally hitting back. Allahu Akbar! The kuffar deserve everything and more [for] the lives they have taken,” he allegedly told an informant following the November 2nd terror attack in New York City which killed 8. “Allahu akbar! It says he was one of us. May Allah grant him Jannah firtuidus Amin,” he said of the terrorist, which means that Sayfullo Saipov would be granted entry into paradise for killing infidels. 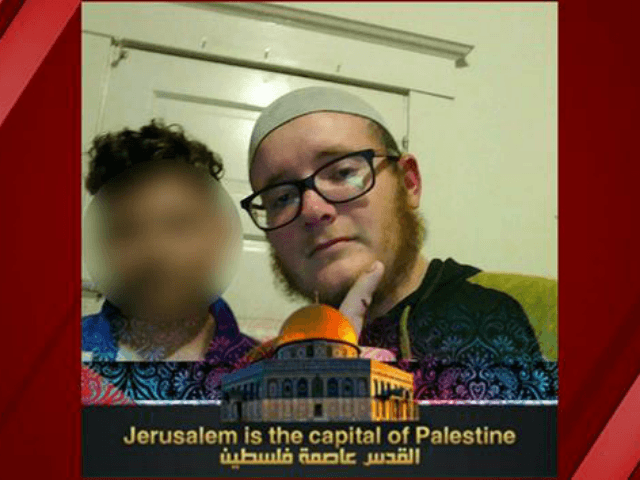 Jameson contacted men that he believed were members of the Islamic State, offering up his background in the military as a means to serve the Caliphate. “I was a soldier in the kuffar army before I reverted,” he said. “I have been trained in combat and things of war. Inshallah, anything of that nature, as well as funding. Anything for Allah.” He also claimed to be well-versed in the Anarchist’s Cookbook, which is essentially a bunch of instructions on how to make bombs and commit terror acts. The FBI did confirm that Jameson earned the Marine “sharpshooter” commendation while in the U.S. Marine Corps, though he was later discharged for “fraudulent enlistment” when it was discovered that he hadn’t disclosed a history of asthma attacks to recruiters. A letter, which was meant to be published following his attack, reads like something a crazy person would write. I’m so glad this piece of trash didn’t get the chance to attack us.